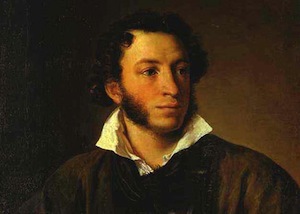 You don’t usually envision a poet engaging in a pistol duel — let alone twenty-nine — but that’s exactly what Alexander Pushkin did. His last duel proved fatal. Sadly, as long as there are two people on earth, there will be conflict. But it doesn’t always have to end in death. I trot out my idea. The client cringes and says, “It will never work.” He’s got a better idea. And so, we let the marketplace declare the winner. The beautiful thing about testing what you create in the marketplace is that you learn firsthand what works and what doesn’t work. It’s like being a marketing scientist. If you don’t test your ideas, then you’re just groping around in the dark … ignorant (perhaps blissfully) of the truth of what you create. Instead, test hundreds of variables over time — headlines, calls-to-action, copy length, images, words, and so on — and you will build a healthy set of winning ideas. And it’s this experience that will drive people to ask you for advice, invite you to sit on panels, and beg you to work on their best projects. In one way, I think this is why everyone should learn how to write direct-response copy … it’s the perfect way to make sure that your best ideas see the light of day. Test everything, and you will get smarter (and wealthier). But don’t be surprised if you run into a lot of resistance. Imagine your boss insists on formatting blog posts a certain way. She wants an opening that describes the post, then a blurb about an upcoming conference (with a call to action button), and then the article. You have a hunch that the blurb is impacting bounce rates, shares, and reading time on the page. It bugs the heck out of you. You mention something to your boss and she says you are being paranoid. However, the only way you can know if that is true is to test it. It could be a handful of variables that are suppressing shares, subscriptions, or conversions … you won’t know which ones until you start testing and isolating variables. And keep in mind, if your boss (or client) bristles at your suggestions, remind her that it’s your job to increase traffic, improve conversions, and make her more money … and the only way to do that is through testing. Testing has another way of transforming you. It can break your ego (in the best kind of way, and if you allow it). I belong to a certain species of humans who think they’re right … about everything. I’m smug. I smirk when I think I hear something ridiculous. And I like to say things like, “That’s silly,” and then explain why. Losing copywriting duels has tempered that attitude. See, I’ve lost some testing duels. Ones I was sure I would win. I’ve also been scolded by the best about my “winning ideas.” I’ve got the chapped hide to prove it. But in time I’ve learned to keep my mouth shut, and let the market prove me right (see, there’s that smugness coming out again). I’ve won some tests, too, and as my experience grows, I tend to win more than I lose, because I’ve developed a sense for what will work and what won’t. This is why I like to go to the court of last appeals — it avoids trading in personal preferences. It boils down to four things: copywriting, engagement, sharing, and lead generation. Let’s break each of those down separately. Copywriting: Which two headlines or subject lines work the best? How can you re-write a call-to-action to raise conversion rates on your landing page? Is that image suppressing response? Engagement: Do people leave comments on your blog or email you? Do they respond on Google+ or Facebook? Sharing: How is your content spreading across Google+ (use Ripples to find out)? Which content works best on Facebook? Twitter? Pinterest? Lead Generation: Are you generating leads and revenue from your content? This is the most important metric. The goal is to look at those metrics and ask questions like this: How do I increase clickthroughs on email? Increase social sharing? Get more people to hit my landing page? What testing tools should I use? Your next step is to actually find the right tools to test each of those metrics. Premise: Quickly and easily build custom, graphically-enhanced (and easily testable) landing pages without coding or hassle. Plus, copywriting advice from within WordPress, conversion optimization seminars from industry experts, and much more. Scribe: Helps you discover the topics that matter, choose smarter language, optimize for social and search, and attract links, likes, and shares in the process. Google Analytics (GA): Use GA for your basic site wide metrics. I like to use it to see what sources are pushing the most traffic to my site. KISSmetrics: Helps explain why people do what they do on your site. Takes GA to another level. Aweber: Gives you analytics — open rates, clickthroughs — about your email campaign. Sprout Social: One of the most comprehensive social media measurement and management tools out there. If the price is outside your budget for now, try HootSuite. Facebook Insights: Robust analytics on the social network giant … critical if you depend heavily on FB. Ripples: Shows you how a particular Google+ post spreads. I use it to track people who share my content, and then follow them if interesting. Google Alerts: Notifies you when someone mentions you, your brand, or any keyword you enter in the news, a blog, or website. Understand this: you don’t have to be an analytics expert to use these tools. I’m a writer with spreadsheet phobia … but I manage to use these tools quite easily. Don’t be afraid to put your neck on the line … do some testing on your own. But also invite people who disagree with you to a duel (do it humbly and without a pistol) … and let the marketplace decide. In the end, testing is a great schoolmaster that will drive you to explore the surprising, buck the conventional, and push you to become the best content producer you can possibly become. Remember: being paranoid pays. So test everything. “Only the paranoid survive.” Oh, yes; well said, sir! It’s common practice to perform A/B split testing for email campaigns – why not for other forms of copy? Great article with a few good reminders. This was a fantastic post! In an ego battle the market always wins. I just started to read ‘Being Direct’ by Lester Wunderman, who is the creator of modern direct response marketing. It’s spellbinding. Although much of the book deals with direct mail techniques, Wunderman developed sophisticated methods to test every ad and every offer to demonstrate ROI for clients, and to better understand what to improve next time. His methodology and intent is as relevant as ever. The tools we have to test our ideas online can deployed quickly and at very little cost. In the end, testing is about how well we understand the human mind. And in this arena there’s always room to grow. I’ve heard lots of good things about that book … should pick it up. Good point, Damian. There’s really only one way to find out the most effective method. With my own copy, I’m always trying out a few different things until I find one that works. Testing is like flossing: advised by all the experts, used by very few. And for good reason – testing is hard. To get a quality test result it takes a lot of traffic and a lot of time. I’m no expert but I find a lot of value in following best practices and tweaking them a little for my own purposes. I like your post, testing is important, it is in other word evaluating your ideas, and nothing can be developed without evaluation. My content writing will be revamped too. I’d like to include more media such as videos, images, and screenshots into my blogs. And I need to approach content writing differently. I’ve been holding back, and it’s time for me to let go. Onward, yes, and report back to let us how your tests turn out. They say that successful business people are ‘Optimistically Paranoid’ which is a healthy paranoia to stay on your toes and not drive yourself nuts! Testing can take off some paranoia pressure by providing clearer answers to what works. Totally agree on the importance of testing. Sometimes it can sting a little to see numbers that don’t back up copy that you’ve invested a lot into, but it will only make your work better. You can only fly blindly for so long until you hit a wall! I found some new testing resources in your post. Thanks! Great advice! “If you don’t test your ideas, then you’re just groping around in the dark … ignorant (perhaps blissfully) of the truth of what you create.” Sometimes we are afraid to fail. We can’t let this get in the way of our progress in creating great content. Here’s a word that applies to everyone, whatever they’re trying to accomplish: perseverance. Without testing, of course, you could easily persevere at doing something that doesn’t work or doesn’t work as well as something else could, but without perseverance, you’re guaranteed to go nowhere. That’s a good word, Rob. Hi Demian. Testing is certainly a seductive idea. But I wonder… how much traffic do you throw at your tests before you consider the results statistically significant and are you isolating demographic variables in your traffic? There’s not a magic number … of course the more traffic you throw at a test the less time you need to wait for results. But if low traffic, take a little time. And it matters (no matter how much traffic) that you are looking at it after the spike and seeing if the long tail results changes your outcome. Crazy or in this case paranoia can sometimes be a very powerful catalyst. Thanks for this Demian, a really enjoyable and helpful post, I might add that a similar premise works for independently publishing fiction. I like that quote. You have to be willing to admit when things just aren’t working the way you want them to and maybe, just maybe, you were wrong about it all. Be worried that things are going to crash and burn but keep trying anyway! You can’t let paranoia hold you back but it can keep you pushing! Exactly right. Paranoia should spur us up and forward, not backwards and down. True, and you can sharpen that gut instinct with testing. This is what I mean when I tell people “I have a hunch mine will win because of x, y, and z.” I can make statements like that because of what I’ve seen occur through testing. Thanks for the great post. Being wrong really hurts sometimes, but it helps make you better and gives you experience you wouldn’t have had if you hadn’t tried. It really does go back to testing! Getting that feedback is critical to improving. We learn more from our failures than our successes, but we can learn from it all, too, but only if we are testing. Thanks for commenting Jameson. As a newbie, I don’t have lots of traffic to do testing. In fact, my current site is a fairly static one as I focused on other things. I have a new blog oriented site in process and am trying to learn and load my post queue prior to launch. How would you advise a rookie like me to “test”? Thanks for contributing this post: some really useful ideas here. It is a welcome addition to this excellent blog. Please keep up the good work. Thanks for the tips Demian, I’m a blogger who post contents on living and surviving Street life and I also include entertainment reports and trending news in my posts, lately I decided to test my posts to know which ones generate the highest views and I discovered that my posts on life and survival get more views than the entertainment news and the others simply because their are so many other blogs that are into entertainment news and by the time I post this news some other blogs already did thereby reducing the number of views that particular post generates but unlike my posts on life and survival, it generates more views because you wont find it on any other blogs because that’s the content my blog majors in and since I decided to upload more of my kind of posts and it’s been working for my blog because now I get more views and followers too on social media,,,my point is testing your content really works for any content provider, you have to know what to post that will be accepted and generate views, though sometimes it takes a lot of patience and consistency too but testing your content to know your market and what to sell does the trick because it’s doing it for me now, although I’m not there yet but their’s a lot of improvement and your post here is an eye opener on how to do better and get more out of my contents, thanks Damien, thumbs up.